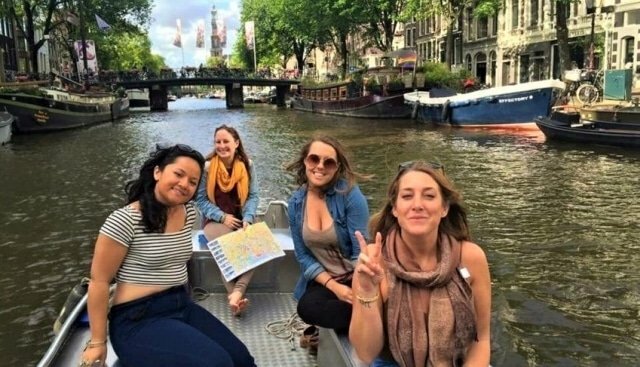 Rent a Boat Amsterdam - Awesome & Affordable Boat Rental! RENT A BOAT AT BOATS4RENT, THE AWESOME & AFFORDABLE AMSTERDAM BOAT RENTAL! Imagine yourself looking back at your stay in Amsterdam. What has made a lasting impression? What will you definitely tell your friends? We know the answer: you rented a boat and drove it yourself on the beautiful Amsterdam canals. Just like our 450+ guests that rated their boat rental with an average of more than 4,5 stars on Tripadvisor. … drive the boat yourself! How cool is that!? You don’t need any license nor experience to rent a boat and drive it yourself. After a short personal instruction some common sense will do! You don’t need any license nor experience to rent a boat and drive it yourself. After a short personal instruction some common sense will do! WHAT TO EXPECT WHEN YOU RENT A BOAT ON THE AMSTERDAM CANALS? Renting a boat ensures the very best perspective on the beautiful canals, the historic buildings and the graceful bridges. Additionally, you can also enjoy the majestic yet tranquil Amstel river. Boating on the Amsterdam canals and the Amstel river is quite easy and great fun. In general, the pace and the atmosphere on the water are very relaxed. And you will feel the sympathy that the Amsterdam locals have for their canals and the boats on them. Check out our short VIDEO at the right to get in the mood! Renting your own canal boat ensures the very best perspective on the beautiful canals, the historic buildings and the graceful bridges. Additionally to the canals, you can also enjoy the majestic yet tranquil Amstel river. In general, the pace and the atmosphere on the Amsterdam canals are very relaxed. And you will feel the sympathy that the Amsterdam locals have for their canals and the boats on them. Check out our short VIDEO below to get in the mood! DO YOU LIKE VALUE FOR MONEY? RENT A BOAT AT THE BEST RATES IN TOWN! When it comes to bang for your buck, Boats4rent Boat Rental is the place to rent your canal boat. 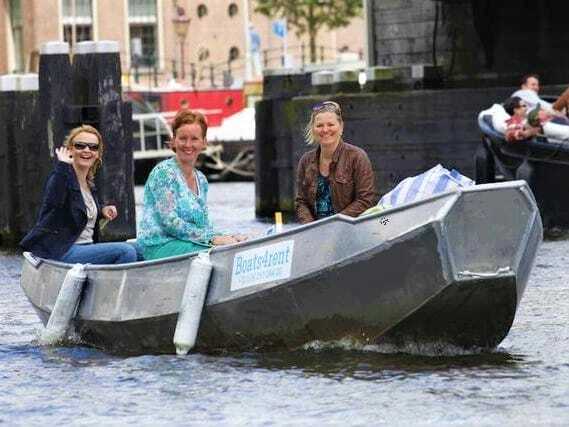 Our boat rental rates are the best you will find in Amsterdam, guaranteed! They start at just euro 79,- all-in for a three hour morning rental, also during the weekend. Your canal boat is powered by renewable energy and exhaust-free. This minimizes the impact of your boat hire on the environment. 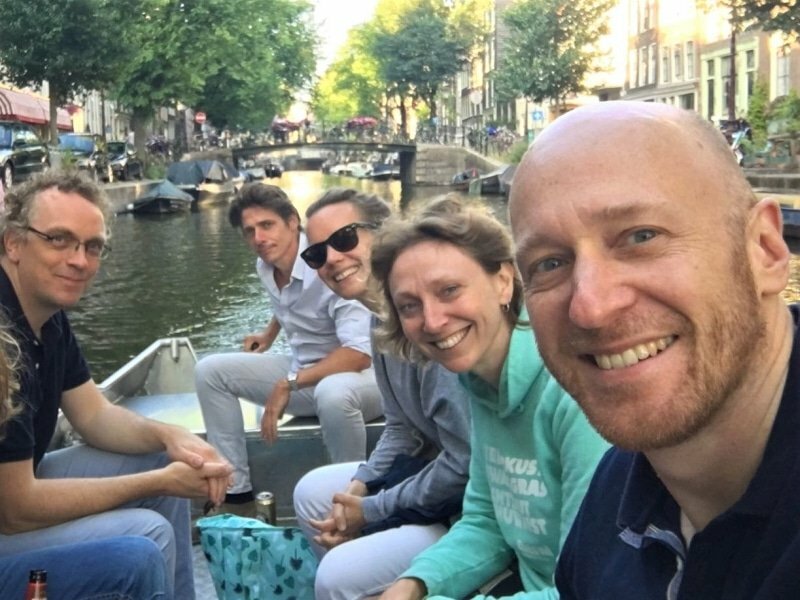 Renting a boat on the Amsterdam canals is immensely popular, in particular on weekends, holidays and any other sunny days. With just 14 boats, the best rates in town and an average Tripadvisor rating of 4,5 stars we are often fully booked. Therefore we strongly advise to book your Amsterdam boat rental in advance. Renting a boat on the Amsterdam canals is immensely popular, in particular on weekends, holidays and any other sunny days. With just 14 canal boats, the best rates in town and an average Tripadvisor rating of 4,5 stars we are often fully booked. Therefore we strongly advise to book your boat rental in advance.